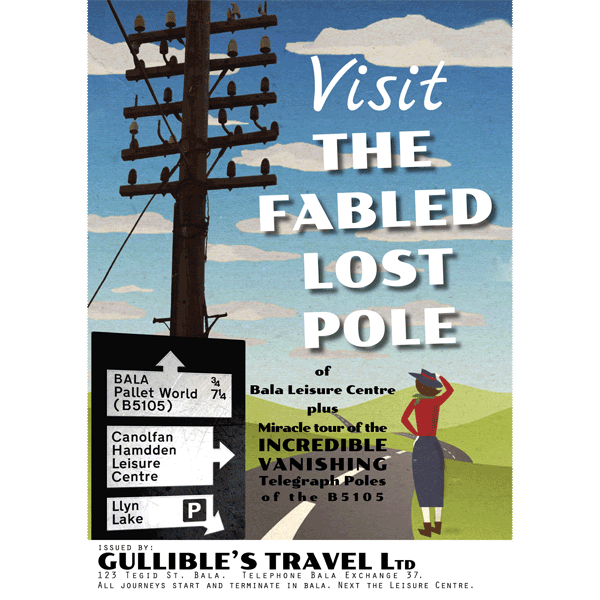 Art Deco poster celebrating “The Fabled Lost Pole of Bala Leisure Centre”. 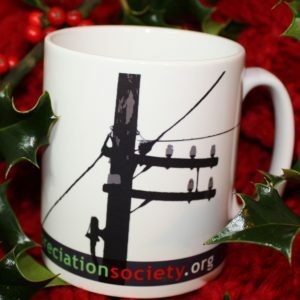 Nobody else has got one of these*1 Ours looks spectacular, farmed, on the TPAS HQ wall. 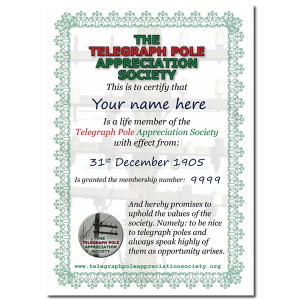 These come in A2 size, unframed, satin finish and posted in a tube. Wonderful! 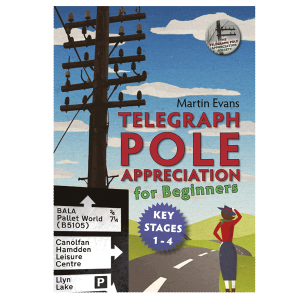 And yes, it is the same image as used on the cover of Telegraph Pole Appreciation for Beginners. *1 Except other people who have bought one from us that is.